There were many highlights during my visit to Etosha National Park in Namibia. But if I had to choose just one, it would be the elephants. I was fortunate enough to see elephants numerous times and not just one or two but huge herds of them. Not surprisingly, the best places were at the water holes for which Etosha is famous for. They are such intelligent creatures and it’s fascinating to watch how they interact and to observe their social hierarchies. I especially loved watching them greet each other, with younger males paying their respects to older females. Perhaps they were on their best behavior, because they know that an elephant never forgets…Rather than tell you, I would rather show you. 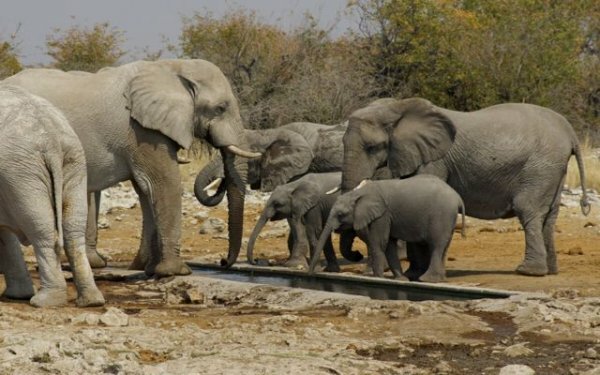 The waterholes are the best place for game viewing. Check out my photos taken at the waterhole of Okaukuejo Rest Camp. Etosha is home to 150 mammal species. You can find a list of them here. You will see more during a day safari, but a night safari is also worth doing. Elephants are dangerous animals. Obey the park rules and stay in your vehicle at all times. I would recommend spending at least 3 nights in the park Two nights at the Okaukeujo Rest Camp and one night at one of the other camps. The best time to visit is from May to October during the dry season It’s not as hot then and wildlife sightings are plentiful around the waterholes. #1 Travel Tip: Book early!!!! Etosha is a popular destination. Guests often book their accommodation up to a year in advance. There aren’t a lot of places to stay in Etosha and it fills up really quickly. Previous postCould You Outsmart the Dangers Lurking in the Namibian Bush? Adorable elephants! Very well photographed! We have six nights booked in Etosha campgrounds this coming November as part of our two month visit to Namibia! Three at Namutoni and three at Okaukuejo. I love elephants! What fantastic shots and it looks like you saw plenty of elephants there! That last shot of the elephants all lined up in order of size is just silly! So cute! They are all adorable, but the baby elephants are the CUTEST! 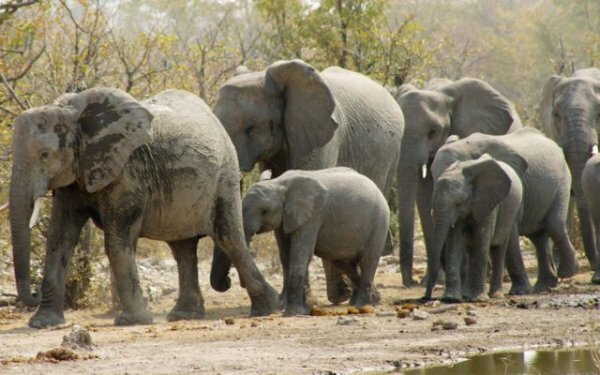 It's hard not to fall in love with the elephants in Etosha. We were also there in the dry season and I found I could spend hours just watching the comings and goings at the watering holes. They might be endangered species in Africa due to Ivory trade though they are adorable to watch.